Lawyers are currently investigating complaints concerning billing practices that relate to charges for in-room safes at CHOICE Hotels which operates several hotel chains, including Comfort Inns, Clarion and Econo Lodge. At these hotels a daily charge for a "safe warranty fee" is automatically posted to a guest's folio or bill. According to the investigation, the fee is not disclosed in the advertised rate or when the guest checks in to the hotel. At check out, the guest must seek to affirmatively have the charge removed from their bill. This practice is called a "negative option" and has been found to be illegal in several states. Hidden charges, such as "safe warranty fees," room services, and phone charges added to hotel bills can cause the price of a room to skyrocket overnight. Guests who stayed at CHOICE Hotels, which operates Comfort Inns, Clarion, and Econo Lodge are investigating potential lawsuits against the company alleging they were unfairly charged "safe warranty fees" without being informed of the charge prior to being billed. In addition to the "safe warranty fee," there are a number of other fees that hotels sometimes charge without their customers' knowledge. 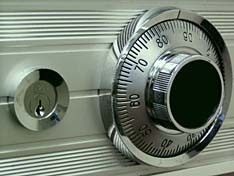 If you have paid for a hotel safe without your consent or would like further information on this investigation, or wish to report any other complaint concerning the billing practices for hotel safes, please click the link below to send your complaint to a lawyer to evaluate your claim at no cost or obligation. Reservation processing fee -- At least one hotel charged a consumer $4.91 cents for making a reservation and did not tell the customer until she checked out.